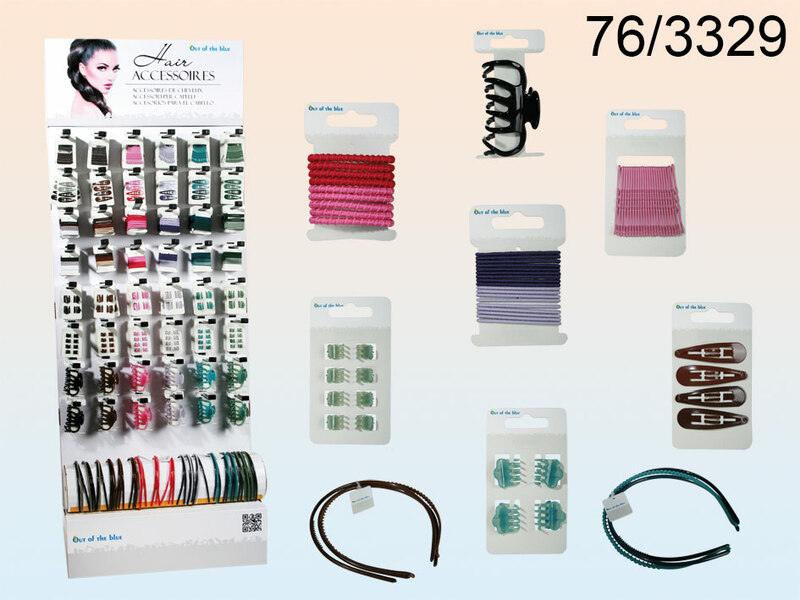 Hair accessories: hair ties, hair claws, hair grips and head bands - each type on separate blister card. The given price is for one card with 1 type of product. Six colour versions available - assorted. Dimensions: 10 x 5 x 1 cm.